From left, Sgt. Marcel Mancell, Pfc. Joshua Stovall and Sgt. 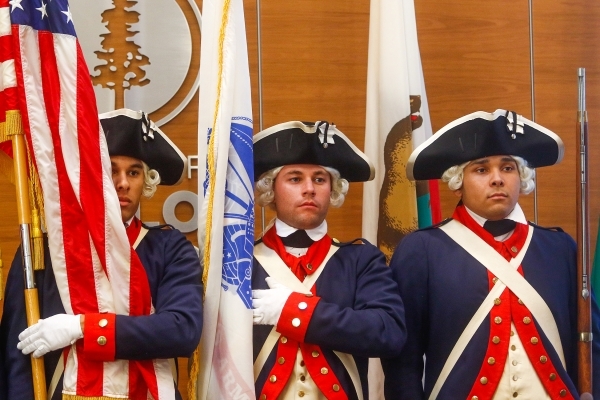 Trevon Murray, dressed as soldiers from the Revolutionary War present the flag during the city of Palo Alto's Veterans Day recognition event on Nov. 6, 2017. Photo by Veronica Weber.